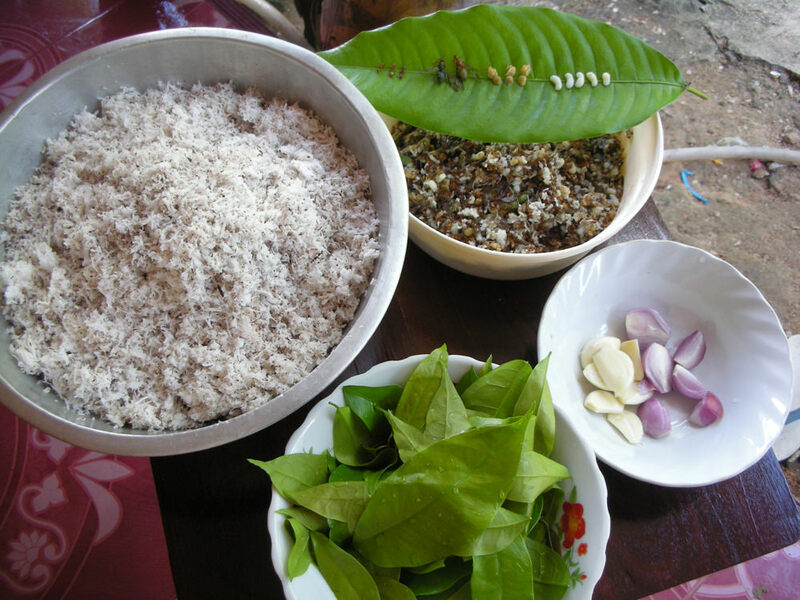 This soup is prepared in Trang (Southern Thailand) with a certain species of red ant that can be found in the months of April and March. 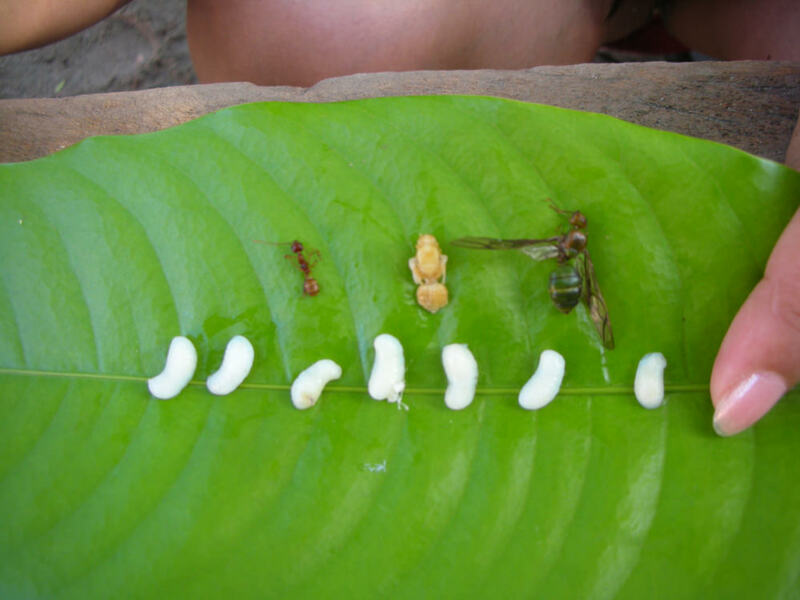 This ant is gathered from mountain areas, rubber fields, and palm fields. Increasingly difficult to find, the ant and larvae sell for about US$5 per pound. 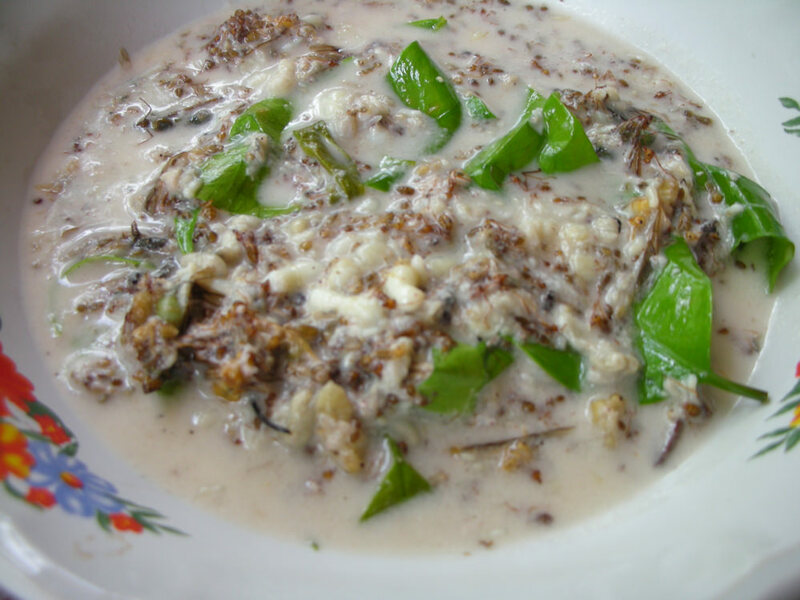 The ants give the soup a sour flavor, and the eggs add a nutty taste. 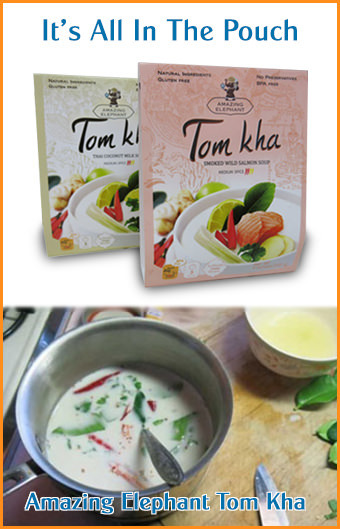 When cooked all in coconut milk, the creamy taste and aroma from coconut milk will lead the taste and smell. A little sweet. 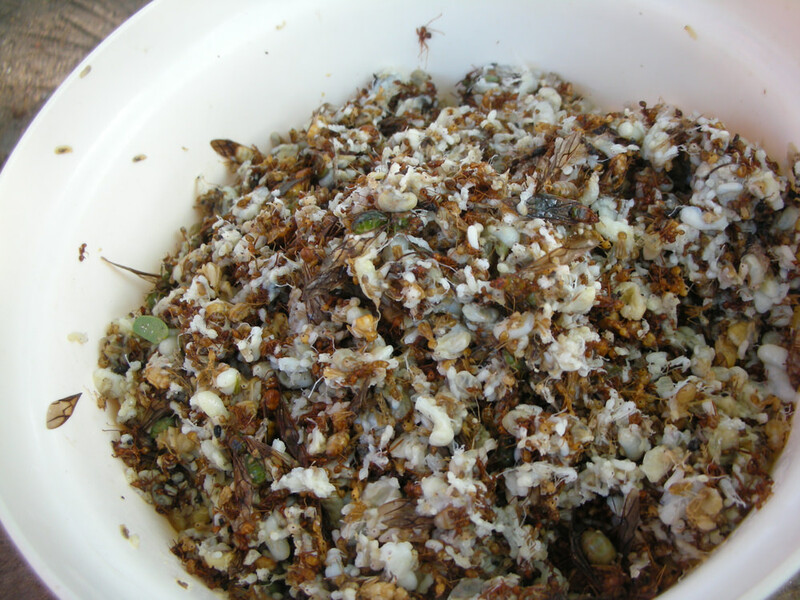 We prepared this with about 3-4 cups of ant eggs (local people call it "ant eggs" but it's actually a mix of large and small ants, see picture at right). The coconut milk comes from fresh grated coconut, the thick and creamy milk from the first squeeze only.